Exclusive software for you to download on your machine. These applications monitor your computer system to make sure it is running smoothly. Take this free limited opportunity while it lasts. CS Fire Monitor is a software solution designed to monitor every single part of your system, including CPU, drives, hardware, bandwidth, software and network. The application isn't only a full-featured system monitoring utility, but also one that's able to create complete reports on all these tools, along with graphs and detailed statistics. The interface may seem a bit complicated at first glance and it probably is, but it takes just a minute or two to figure out how to use the program. All the features are nicely organized in tabs, so you have Monitors, Reports, Settings and Help. 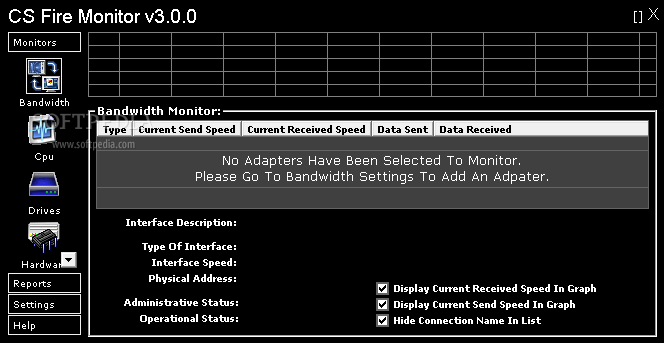 The Monitors section provides an impressive number of subcategories, including bandwidth, CPU, drives, hardware, IP, memory, NetStats, processes, services, software, tasks and templates. Each of these comes with tons of details, so clicking on CPU for instance shows the vendor ID, CPU name, type, family, model, brand, stepping and serial number, current speed and real time speed. Doctor Spyware Cleaner is a program that shields a PC from harmful spyware & adware. It offers full system scans, removes or quarantines malicious objects, can exclude objects not required to be scanned, includes Live Update to update spyware definitions, optional Active Monitor, manual or scheduled scans, and more. This is an excellent tool in your arsenal against malicious software (malware). It offers both a deep scan or a quick (shallow) scan, looking for harmful spyware & adware. It is recommended that a full scan be carried out once per week. This handy and portable utility can fix common Windows problems in a single click. 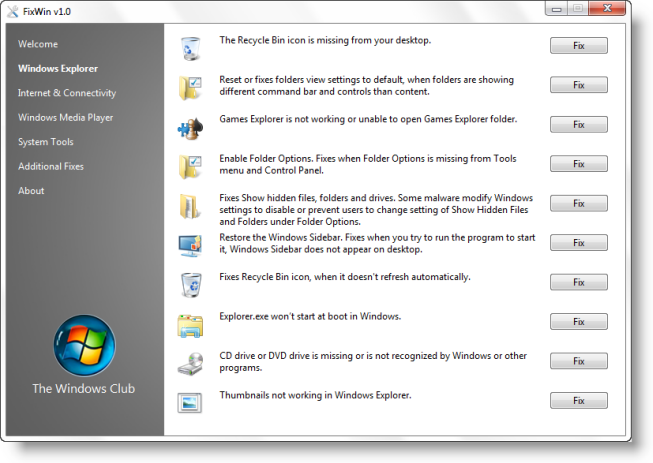 Over 50 issues such as a missing Recycle Bin are covered, and although it's designed for Windows 7, many fixes work in Vista and XP too.